Back to Home Back to News & Tour Back to Course news Back to 2015 Back to June Back to Fancy experiencing some winter sun in Majorca? Fancy experiencing some winter sun in Majorca? Winter sunshine golf on the island's top two courses is on offer as one of Majorca's best hotel's hosts a unique amateur tournament in November. The 3rd annual Lindner Mallorca Golf Trophy takes place from November 26-29 and includes golf at both Son Gual and Club de Golf Alcanada (pictured) - by common consent the island's best courses - and three nights' B&B at the four-star Lindner Golf & Wellness Resort Portals Nous. The entry fee for the tournament also includes use of a trolley on both days, two dinners at the hotel, a gala ceremony at Alcanada's clubhouse - which includes beverages - and transport to and from the golf courses to the hotel. The event itself is an individual Stableford event, open to all amateur golfers. The €30m Thomas Himmel-designed Son Gual course was acclaimed recently as ‘best golf course' by the World of Leading Golf, a corporation representing some of the globe's most distinctive clubs. And it has been turning heads since it opened in 2007. It is listed as the eighth-best course in Spain and the top venue in Mallorca in Golf World's benchmark Top 100 Courses in Continental Europe 2014 rankings. Alcanada's 7,108-yard, Trent Jones Jnr-designed course has won a steady stream of awards since opening 12 years ago. It sits in a breathtaking location overlooking the Bay of Alcudia. 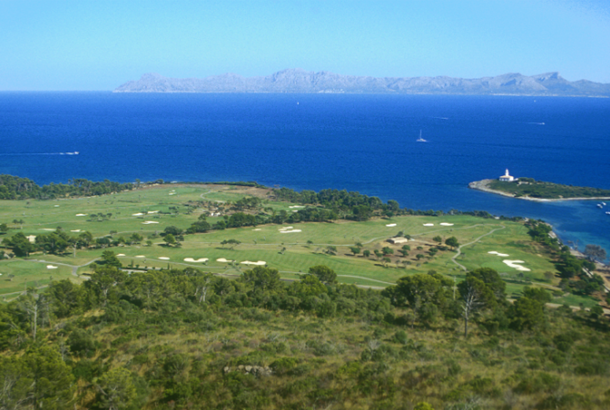 Adjacent to the Mediterranean - the only course next the sea on the island - Alcanada, which opened in October 2003, blends naturally into the typical Mallorcan terrain and takes its name from an island with a lighthouse, situated just offshore, which can be seen from most holes. The delightful African-influenced Lindner Golf & Wellness Resort Portals Nous - set amid Bendinat's Royal Golf Course and close by the luxury yacht harbour of Puerto Portals - offers 118 comfortable rooms and suites, two exquisite restaurants, a cosy golf bar, spa area with indoor and outdoor pool, Jacuzzi, saunas, steam bath and gym, all set within spacious grounds with large sun lawns - all less than a 20mins drive from the airport.